Sony has quietly been developing a followup to their Sony Wireless e-Reader that it released last year. The device was known as the Sony PRS-T1 and had some strong assets going for it that no other company was able to match. Built-in support for borrowing books via Overdrive was one of the main selling features. Today Sony has officially submitted its new model to the FCC for approval and will be releasing it on the market in the next few months. 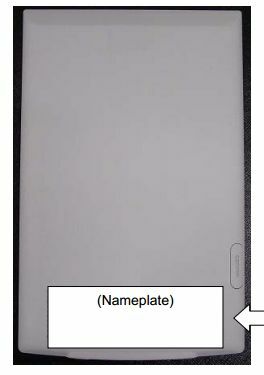 The new Sony PRS-T2 will feature an e-ink Pearl display with a resolution of 800×600 pixels. It will have the same infrared technology found in the Kobo Touch and Amazon Kindle Touch. This will allow for pin-point accuracy when you interact with the touchscreen. It will also have full Wi-Fi internet connectivity to tap into the Sony Book Store. Sony intends on releasing this new model in North American, Japan, and Europe. It has online bookstores in all of those countries and has really been revising its online presence during the last few months. Traditionally, Sony releases a new e-reader every year, but has been dwindling its product offerings in the last two years. You can expect this model to be released to the public within the next two months, and should cost around $139.00. If Sony is serious, they need decent acreen resolution, at least as much as old iPad, excellent PDF support including easy annotation and organization of annotations. Until then there’s no point in buying any ereader other than Kindle. so everyone who voted for sony in that poll was right? I don’t get it: every time you mention Sony e-readers, you point out that their infrared touch system is the same as the Kobo and Kindle touch models, as if Sony was copying them. Why don’t you point out that Sony was the one who first used such a system, nearly a year before anyone else, and all the other manufacturers copied them? To be fair to Sony e-readers, which for numerous reasons–both hardware and software–are lightyears superior to all other e-readers, you should point out that they were FIRST with the infrared touch. Will Sony allow google bookstore to be used? I thought they were coming out with a higher resolution model??? Thanks for describing the t1(one). Now I’m excited about buying the t1(one).